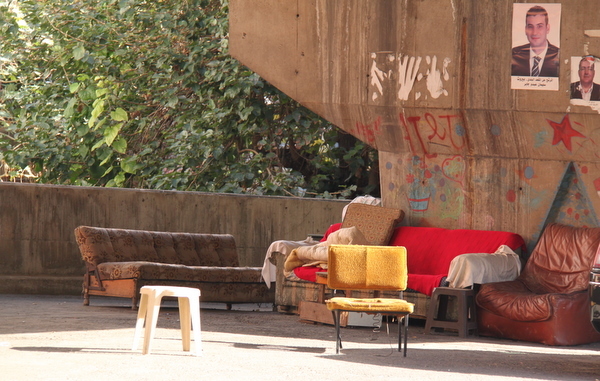 These guys are a cut above the plastic chair masses – upholstery, vinyl, a clic-clac… Who would have thought to find such a lovely sight under the dull grey concrete of the flyover that crosses Nahr Beirut? 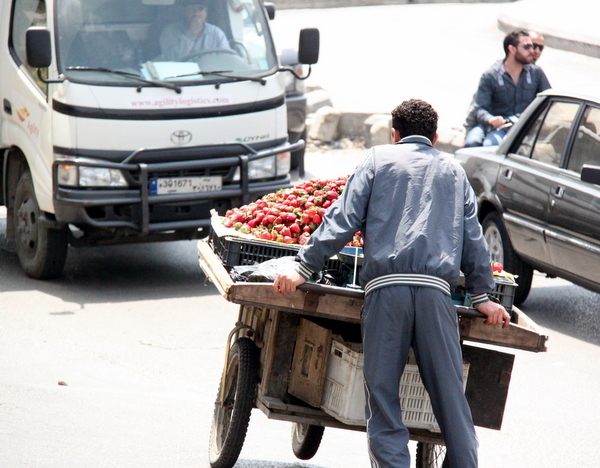 It doesn’t matter if the Lebanese are driving a Hummer with extra lights and tinted windows or if they’re pushing a cart of strawberries, they have an innate sense of their own right of passage. They exist therefore they have right of way. The cart would not be intimidated by the Hummer, either. 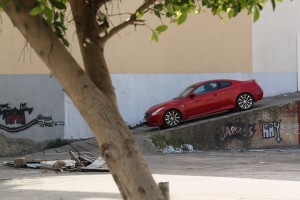 The road belongs to all of us, not to everybody else, which is a good angle to view things from.